A topic I haven't talked about much here on my blog is my hair, and the fact that I've been dying them for quite a while now. I always feel more “me” with something closest to my natural hair colour, but I have experimented a fair bit in my life, and today I want to share it with you! I’ve always loved my natural hair colour. 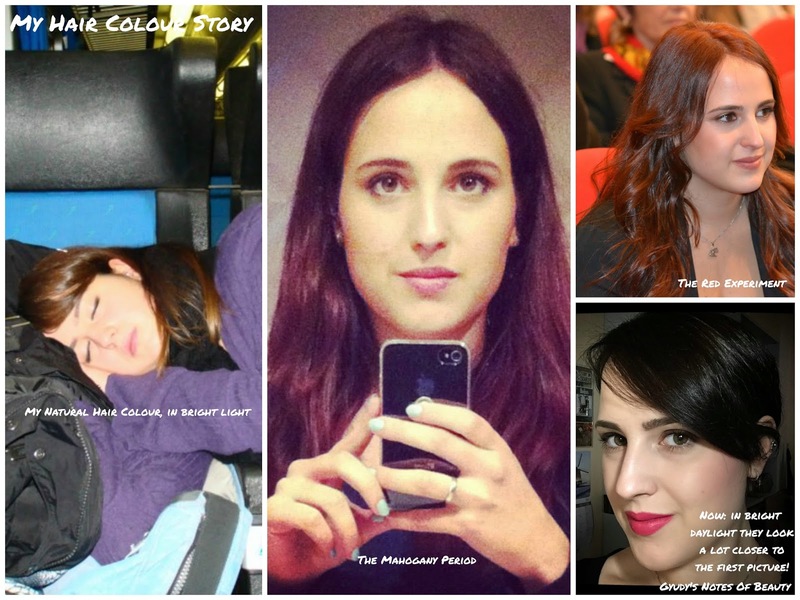 After a blondish childhood, my hair colour turned a warm shade of brown growing up, and I’ve always loved it. Fearing I would develop grey hairs pretty soon just like my mum, I’d always been afraid of the day dying my hair would become a necessity… And like a lot of teenagers I decided to suddenly go against that at 16. Luckily I don’t have any pictures of that time on my computer and I don’t feel the urge to look for them anywhere else, as what I did was not pretty. I went into the hairdresser with long hair, asking for a shorter do and some purple hues. Instead of dying my hair, he decided to bleach a few strands and dye them bright purple. Obviously he didn’t tell me anything about the purple dye fading quickly and I was soon left with light blonde strands in random places, and a terrible hair cut. Have you guessed I’ve never walked into that hairdresser again? After that horrible experience, my fear of hair dye grew stronger, until one day my mum convinced me to get some highlights done at her hairdresser. Another big mistake: I don’t feel like me with lighter hair. I generally don’t really like blonde highlights on anyone unless you already have blonde hair, and that was not my case. What makes me feel more “me” is a darker hair colour with some coppery tones, and blonde highlights (even if they were done amazingly, I have to say!) just aren’t for me. Then the day came. One grey hair after another, I really needed to do something. And I though to do something different for a change, this time loving it. A mahogany shade in a 4 weeks lasting formula, that looked really good on my long hair. I loved it! But there was something else I had wanted to try for ages, and that was red. And red I went! The first couple of weeks it was gorgeous: a rich red that complimented my skin tone really well, and was very fun but classy. But I had two problems with that shade: it was turning orange incredibly quickly (probably because of he warmer tones in my natural hair colour), and how much it had restricted my makeup palette. Trust me, I was shocked. So many things I used to love, I was now unable to wear. Anything cooler that a coral looked terrible against my red hair. And so, I said bye to red. I started going shorter with my haircuts, and needed to cover the red (that only looked good on my long hair, I have to add). My hairdresser at the time went for an almost black shade, and whoa, I was different! Too different, I’d say. A lot of people loved it on me (but not my mum, that still thinks of me as a blonde, lol), but I wasn’t myself. It looked lovely against my light skin tone, but something was wrong. And here I am. 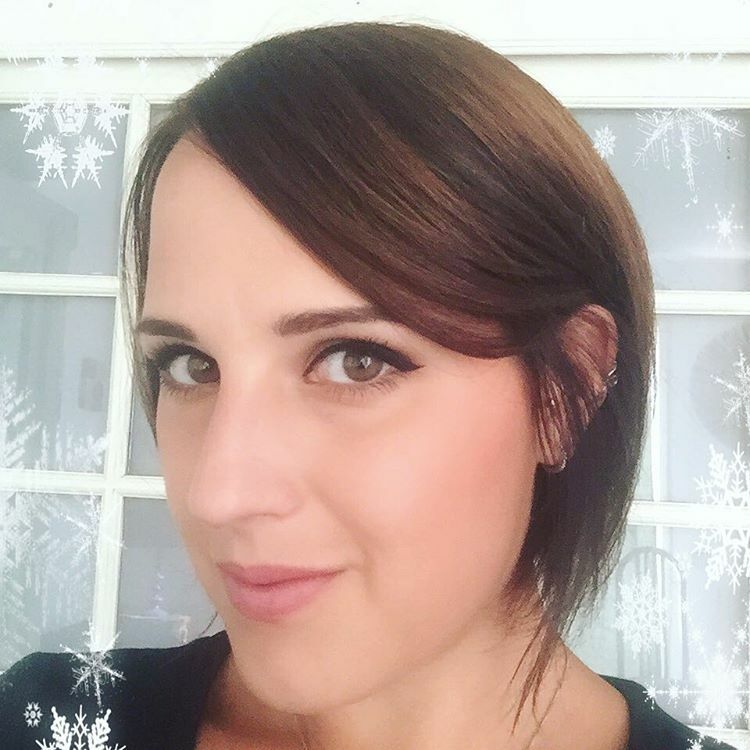 With a short do I’m trying to grow back to shoulder length, and a warm brunette hair colour I regularly get done at my now trusty hairdresser (since I met him I stopped letting months pass between one visit and the other and changing place after two times at most - it’s love!) that it’s the closest I can get to my natural hair colour - just a tiny bit darker to avoid it fading too quickly. If you want to change your hair colour and need some inspiration, I recently found the Color Advisor page on the website of the hair dye company Madison Reed, which makes harsh chemicals free hair dyes, and it's amazing as it gives you detailed options and gives you a lot of choice. Experimenting is fun, and your personality needs to shine through your hair colour, but I think that probably the color you were born with is what suits you most. You can play with it and change it a bit, but it’s what personally makes me feel more me. But if a drastic change is what you need, don’t fear it. You can find your new you, or you can always go back! This post has been written in collaboration with Madison Reed. I didn’t receive any compensation for this post. 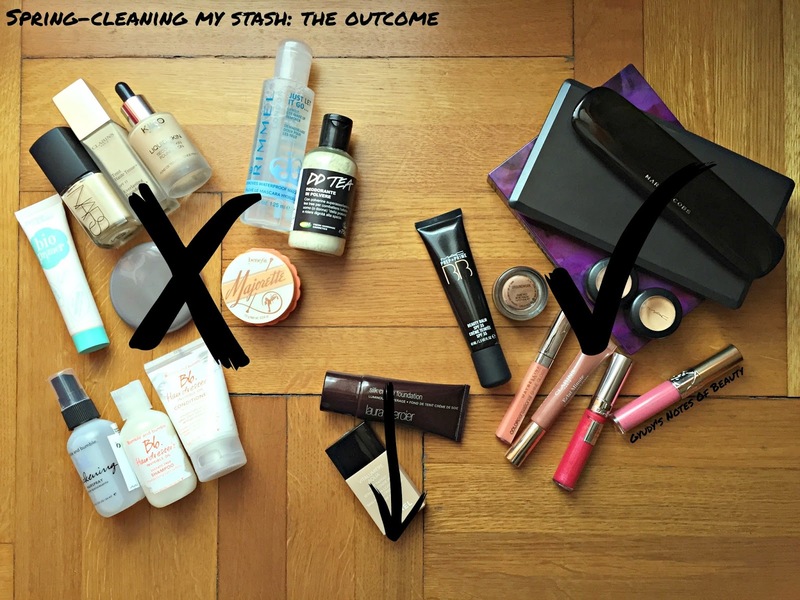 Tell me: how do you spring-clean your beauty stash? I've been thinking about having a spring-clean of my beauty stash for a while now. I used to go through everything in my drawers once a month to see if there was something I didn't like or that was expired, and to have a look around to switch my daily products, but I haven't done it for quite a few months. I have gone through my skincare and haircare not too long ago (prove in this IG picture - link! ), but my skincare is something I tend to keep track of a lot (I don't start using a new product unless I finish what I'm using or I need to because my needs change) and my haircare stash is so minimal I only have a few things to get rid of that just don't work for my hair. What I really need to get through is my makeup and nail polish stash. I've gotten a lot better at deciding what to buy: I think about it, I wait for it, and then I think about it once more. Now and then I buy a few unnecessary things, but without doing too much damage. I used to buy a lot of nail polishes, and that has stopped ages ago now: I love to try a new formula or buy a colour I fall in love with it, but only do it once in a while. I am sure there are a lot of things I'm not using, though. Something I forgot that I only need to start using again, something that I used to love that doesn't work for me anymore (and is probably expired), or something that never worked for me even if I tried hard to love it. What are your rules when spring-cleaning your beauty stash? Don't forget to have a look at Allison's video: I loved her tips and she definitely inspired me to spring-clean my stash! MAC Face and Body Foundation is one of those products I fall back in love with from time to time. Considered a must have by makeup artists and being the favourite foundation of quite a lot of people, it’s quite a cult product that I’ve been using and loving for quite some time now and it’s a staple in my stash. Described by MAC as “a fluid foundation that provides low-to-medium build able coverage and a flawless, natural satin-shine finish. Skin conditioning, water-resistant and long-wearing”, is available in a handy 50 ml bottle and a bigger 120 ml bottle that is perfect for makeup artists or as a great price per ml option if you’re sure you love it. I totally agree with what MAC says about it. The coverage can be sheer if applied lightly with fingers or a brush but can be easily built up to medium when layered or buffed in with a brush a little more. The finish goes from satin to glowy depending on how much I layer it: a sheer layer gives a lovely satin finish that becomes really skin like when powdered, whether a couple of layers stay pretty glowy even with powder on top. It’s truly long wearing as promised and I can imagine being the same on the body, but I’ve not tried it yet! Will definitely do if I decide to buy my summer shade again. The reason I’ve fallen back in love with it all over again recently is how forgiving is on the skin: my skin has been drier than ever lately (it feels fine when I moisturize it but as soon as I start applying makeup flakes appear and it gets even worse during the day, especially on my nose) and whilst I’m working on it (I’d assume hydrating serum, oil and rich moisturizer would be enough but they aren’t) I need something that doesn’t accentuate dry patches. 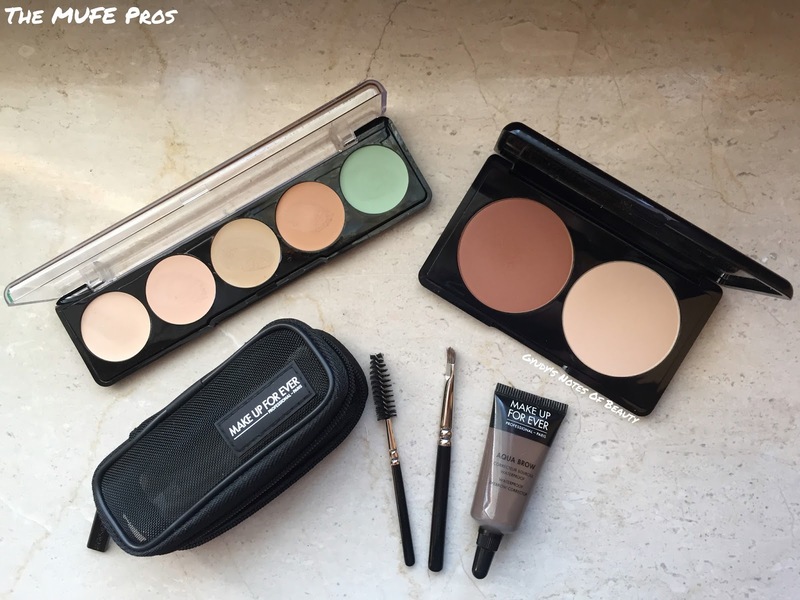 Another thing that has allowed me to use it more is the Make Up For Ever Concealer Palette I reviewed in my last post (link! ): color correcting everything before and adding a sheer layer of concealer on top when needed as made me want to use a sheerer base, and Face and Body is perfect. The shade that matches my skin tone perfectly is C1, but in the summer C2 is perfect: the first time I bought it was after the summer holidays a couple of years ago and I remember it working amazingly on tanned skin. I also remember comparing it to the famous Chanel Vitalumière Aqua at the time and thinking it was a lot better, and I still think it is. And since for the price of that tiny Chanel bottle I can buy the huge MAC one, I’d chose this anytime. 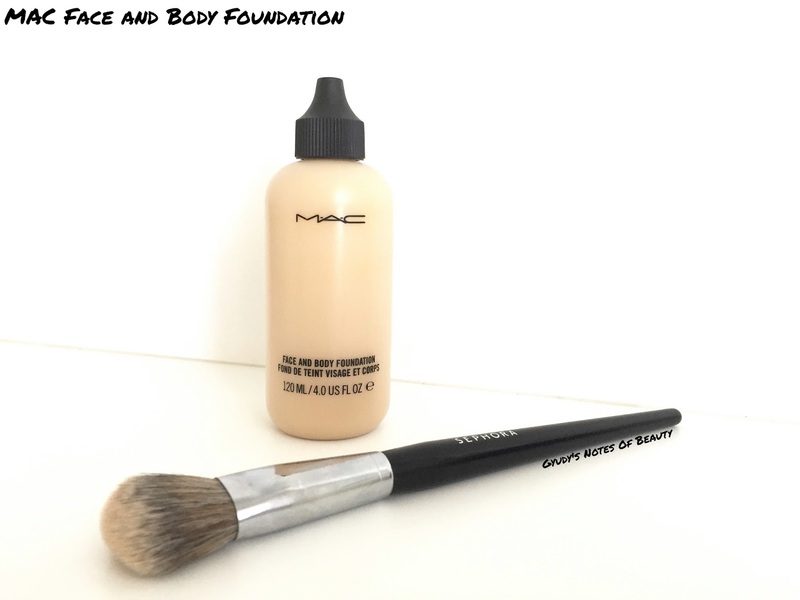 MAC Face and Body Foundation è uno di quei prodotti che di tanto in tanto tornano in cima alla lista dei prodotti preferiti. Considerato un must have dai makeup artist ed essendo il fondotinta preferito di molti, è un prodotto cult che io uso da molto tempo e ormai non posso più farne a meno. Descritto da MAC come “un fondotinta fluido che consente una copertura flessibile da leggera a media, e una lucentezza naturale e dalla finitura impeccabile”, è disponibile in un comodo formato da 50 ml e in una più grande confezione da 120 ml perfetto per i makeup artist o come un’ottima opzione convenienza se siete sicuri che vi piace. Sono totalmente d’accordo con quello che dice MAC a proposito di questo fondotinta. La coprenza può essere trasparente se applicato leggermente con le mani o un pennello, ma può essere facilmente aumentata se stratificato o lavorato con il pennello. Il finish va da satinato a luminoso a seconda di quanto lo stratifico: uno strato leggero dona un effetto satin che risulta molto simile alla pelle con un leggero strato di cipria, mentre un paio di strati rimangono piuttosto luminosi anche con la cipria. È davvero a lunga durata come promesso e posso immaginare che sia lo stesso sul corpo, anche se non l’ho ancora provato. Lo farò sicuramente se deciderò di riacquistare la mia tonalità estiva! La ragione per cui me ne sono innamorata di nuovo di recente è quanto sia indulgente sulla pelle: la mia è stat più secca che mai ultimamente (sembra a posto quando metto la crema ma appena comincio ad applicare il makeup si screpola e peggiora ulteriormente nel corso della giornata, specialmente sul naso) e mentre cerco di sistemare il problema (un siero idratante, un olio e una ricca crema dovrebbero essere abbastanza, ma a quanto pare no) ho bisogno di qualcosa che non evidenzi le aree più secche. 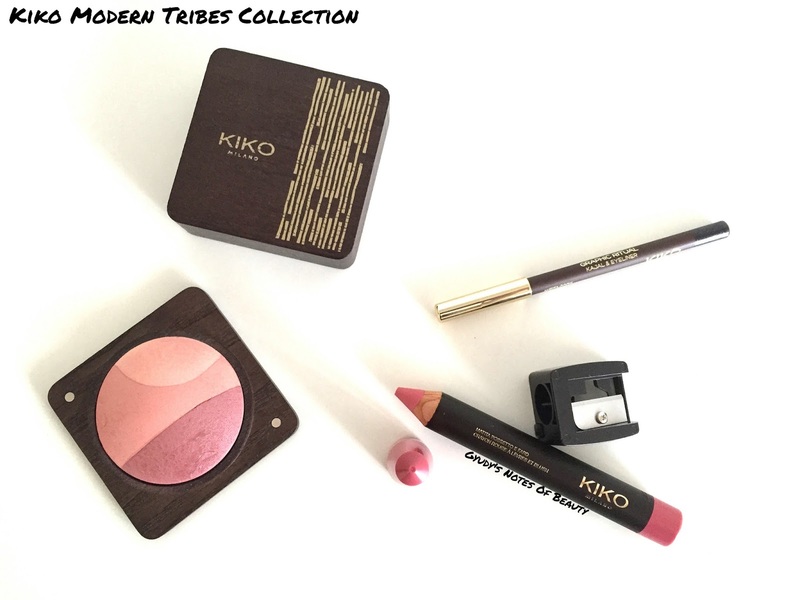 Un’altra cosa che mi ha permesso di usarlo di più è la palette di correttori Make Up For Ever che ho recensito nel mio ultimo post (link! ): correggere le discromie prima e aggiungere coprenza dopo se necessario mi ha fatto venir voglia di usare una base più trasparente, e Face and Body è perfetto. La tonalità che si adatta perfettamente alla mia pelle è C1, ma in estate C2 è perfetta: la prima volta che l’ho comprato era dopo le vacanze estive e ricordo che funzionava meravigliosamente sulla pelle abbronzata. Mi ricordo anche di averlo paragonato al famoso Chanel Vitalumière Aqua considerandolo decisamente migliore, e continuo a pensare che lo sia. E visto che per il prezzo della piccola bottiglietta Chanel posso comprare l’enorme 120 ml MAC, lo sceglierei in ogni momento. Avete provato questo fondotinta? Cosa ne pensate? It’s time to update you about exciting new things at the Pharmacy again! Apart from a few new things in their Pureté Thermale cleansing range like the new Beautifying Micellar Cleansing Oil (shared in my last monthly favourites here), Vichy has launched a new BB cream and a new night cream, and they’re both amazing. This regenerating gel-balm formulated especially for night time use makes you wake up with plumped, rested and fresh skin, no matter the quality of your sleep. Tested on nurses and new mums, Skin Sleep mimics the phase of deep sleep when the skin is repairing itself more actively for a better skin in the morning. Meant to treat dull and uneven skin tone, the gel-balm texture is fresh and really pleasant to use. It contains Hyaluronic Acid to hydrate the skin, LHA which stimulates skin renewal, Glycyrrhizic Acid that soothes and protects Hyaluronic Acid in the skin whilst reducing flaking and restoring suppleness, Caffeine that stimulates the skin, Vitamin B3 that strengthens the skin barrier and protects against redness and has antioxidant properties and repairing oils to make skin more supple. I’ve been using it for 10 days or so and I’ve been loving the result: it feels like a cuddle on the skin and my skin is truly radiant in the morning. I love the concept, and the result is beautiful! This new BB cream is available in two shades, and I’ve used the Light one a few times and loved it. It contains Salicylic Acid to treat imperfections and Mineral Pigments to cover them. It has a SPF of 16 and is oil free. it can be applied in place of a day cream or over it, and can be built up for more coverage. The result is beautiful and applied over my day cream (with my normal to dry skin I would never use it without it) is rather glowy too, and a touch of powder doesn’t disturb that. It builds up beautifully, just like they promise: a first layer evens out the skin and a second one really covers everything, redness included. I love to include something that fights imperfections is my skincare routine, as my skin stays clear only if I prevent them, and using this a few times a week seems is perfect! 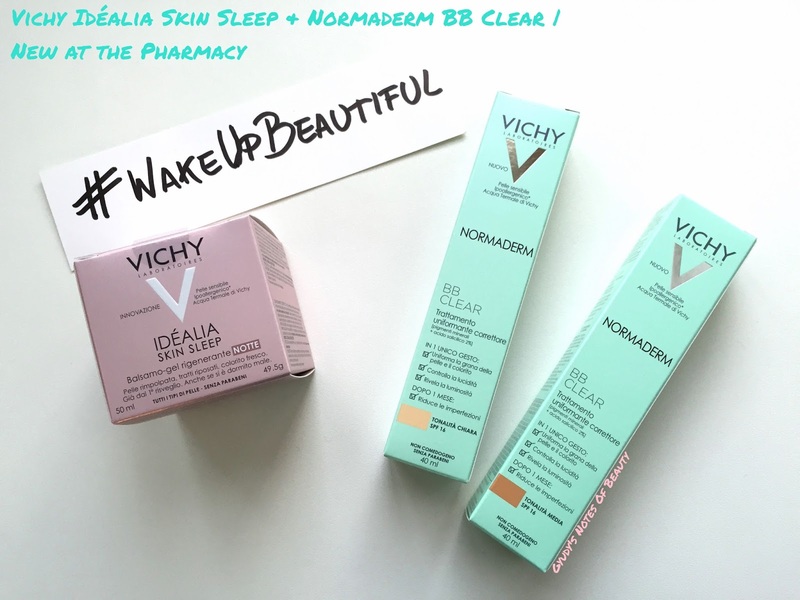 What do you think of this new Vichy items? Have they come out in your country yet? È arrivato nuovamente il momento di aggiornarvi su un paio di belle novità in farmacia! Oltre a un po’ di novità nella linea di detergente Pureté Thermale come il nuovo Olio Micellare Struccante Sublime (di cui ho parlato dei miei ultimi preferiti del mese qui), Vichy ha lanciato una nuova BB cream e una nuova crema notte, e sono entrambe favolose. Questo gel-balsamo rigenerate formulato per l’uso notturno ti fa svegliare con la pelle rimpolpata, riposata e fresca, indipendentemente dalla qualità del sonno. Testato su infermiere e neo mamme, Skin Sleep ricrea la fase di “sonno profondo” in qui la pelle si ripara più attivamente per rendere la pelle più bella al risveglio. Pensata per le pelli spente e non omogenee, la texture gel-balsamo è fresca e piacevole da usare. Contiene Acido Ialuronico per idratare la pelle, LHA che stimola il rinnovamento cellulare, Acido Glicirrizico che lenisce e protegge l’Acido Ialuronico presente nella pelle riducendo le screpolature, la Caffeina nota per il suo effetto stimolante, Vitamina B3 che rinforza la barriera cutanea e protegge dagli arrossamenti oltre ad avere proprietà antiossidanti e oli riparatori per rendere la pelle più morbida. La sto usando da 10 giorni circa e mi piace molto il risultato: sembra una coccola per la pelle ed essa risulta davvero luminosa al mattino. Mi piace moltissimo l’idea, e il risultato è bellissimo! Questa nuova BB cream è disponibile in due tonalità, e ho usato quella chiara una manciata di volte e mi è piaciuta molto. Contiene Acido Salicilico per ridurre le imperfezioni e pigmenti minerali per coprirle. Ha un SPF 16 ed è priva di oli. Può essere applicata al posto della crema giorno o sopra di essa, e può essere stratificata per aumentarne la coprenza. Il risultato è molto bello e applicata sopra alla mia crema giorno (la mia pelle normale-secca non mi permetterebbe di usarla da sola) risulta anche piuttosto luminosa, senza essere disturbata da un velo di cipria. Si stratifica molto bene, proprio come promettono: un primo strato uniforma la pelle e un secondo copre tutte le imperfezioni, rossori compresi. Mi piace includere qualcosa che combatta le imperfezioni nella mia routine, e visto che la mia pelle rimane priva di esse solo se le prevengo usare questa BB cream qualche volta alla settimana mi sembra la soluzione perfetta! Cosa pensate di queste novità Vichy? Le avete già viste in giro?